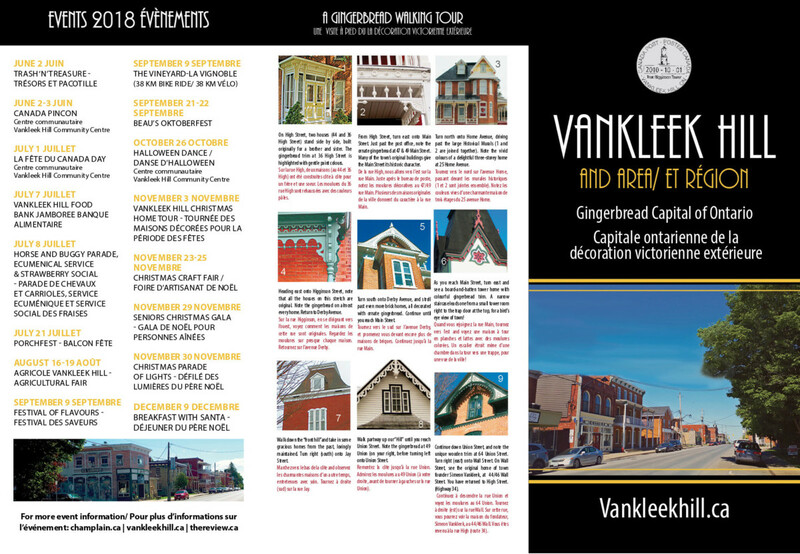 The countryside and small-village charm of Vankleek Hill await you! FROM MONTREAL: Just one hour from Montreal, 45 minutes from West Island. Take Highway 40 west, which becomes Highway 417 in East Ontario. Take Exit 17 and follow signs to Vankleek Hill. FROM OTTAWA: Just one hour from Ottawa: Follow Highway 417 east and take exit 27; follow Highway 34 north into Vankleek Hill. Or follow Highway 17 east and take Cassburn Road at L’Orignal for a short scenic drive into Vankleek Hill, or take Highway 34 south at Hawkesbury for a six-minute drive to Vankleek Hill. 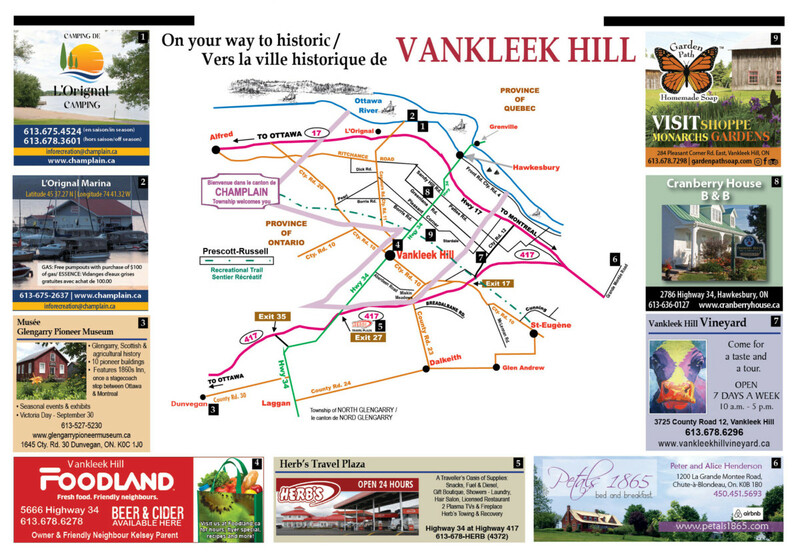 Plan your trip to Vankleek Hill and area! 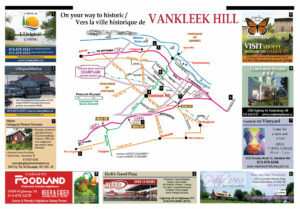 There is always a full line-up of special events taking place in historic Vankleek Hill. 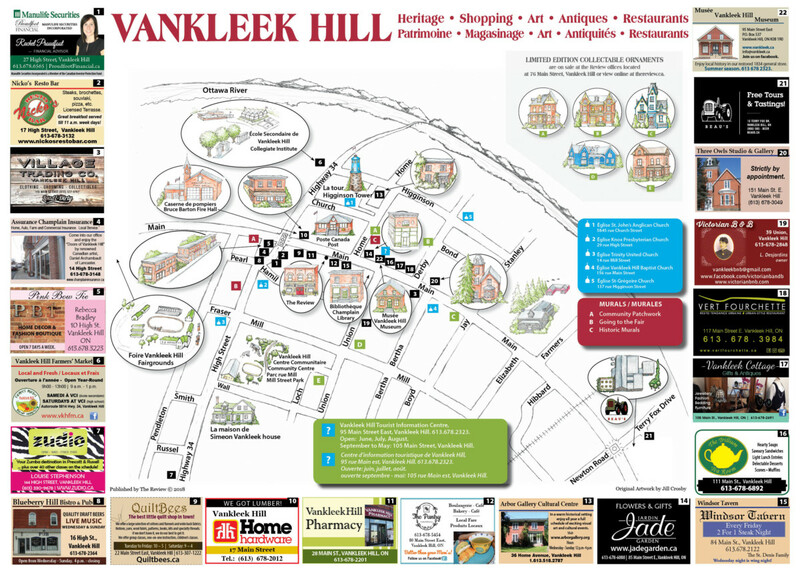 Whether you are new to the area, are a long-time resident, or want to share “What’s happening” with friends and visitors, take advantage of the Vankleek Hill and area map to do just that. (Click each map image below to view or click here for the PDF version). 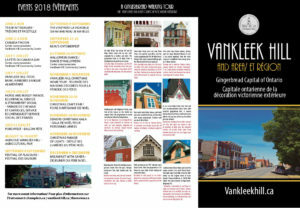 Heritage, art, shopping, artisans, the market and so much more await. Consider yourself invited! 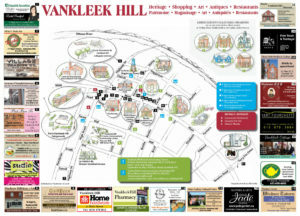 And share this site so more people can enjoy what Vankleek Hill and area has in store all year-round!